Immediately after signing up, the system will ask a couple of questions that will walk you through the process of adding properties. The questions are very simple. 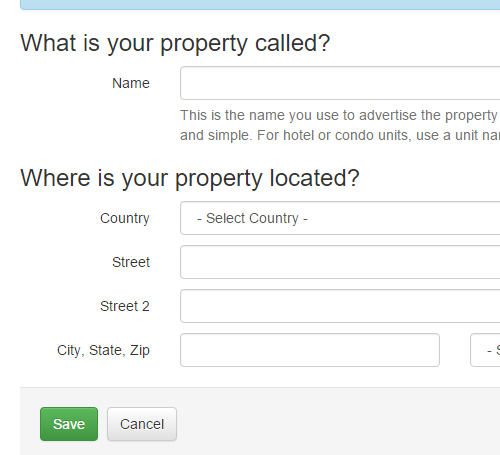 Simply select if you want to add one property at a time or multiple properties in bulk. If you select to add one property, you will be taken to a simple screen to fill out the name and address for the new property. Only the name is required, you can ignore the address part if desired. If you click the Add Multiple Properties button, you will be taken to a bulk entry screen where you can enter many properties quickly. You can even copy/paste property names from a different file such as notepad or a spreadsheet.